After looking at finance (use case 2a business, 2b technical) of SAP S/4HANA 1709, we will focus on manufacturing, specifically “advanced variant configuration” capabilities in this blog. “Any customer can have a car painted any color that he wants so long as it is black.”, said Henry Ford in 1909 introducing mass production to the market. Even before 2 decades where out, General motors brought the colours back into the automotive industry. It is now almost a century since then – technology has brought individualization much closer to the consumer than ever before. If you are more interested in this topic, you are invited to read about it here. In an earlier blog, I talked about the “Segment of ONE” as a logical consequence of the digital economy. Thus, the size and value of individual orders go down while the number of orders go up. The impact on personalized sales trickles down into manufacturing with the lot sizes coming down to one as well. As mentioned before, “UNIT of ONE driven order size” seeps throughout the entire organization. Customer individualized products are the main differentiator in a global competition market to expand their market position, more than ever and far beyond a second color only. Individualized products will become the standard. As such, an efficient and transparent application support throughout the business process (end-to-end) will be key for a company. The ongoing trend to lot size one (that is, individualized products) in traditional as well as new industries asks for more efficient and advanced application support for individualization. In line with this, a new state-of-the art variant configuration is being built for sales, planning, production, engineering, and service. With new user experience/usability, enhanced process support, better scalability/performance, and sophisticated analytics we want to ensure that the companies can enhance the experience of the consumers to address individual requirements. With the latest release of SAP S/4HANA 1709, we deliver advanced variant configuration capabilities that will exactly address the need to enable individualization all the way from the store through the supply chain until the product is delivered to the consumer. Customers need to be able to understand the impact of the different configurations of their products easily – and more important consumable for the end user. The new simulation can increase modelling efficiency for new configured product modelling by effective simulation of new product variants and options. With the ability to simulate what might be the impact of different configurations, you can also reduce the time to market for new products. With the new simulation capabilities, you can streamline your product modelling with advanced configuration simulation capabilities in a comprehensive simulation environment for variant configuration models. Once the right configurations are set up for the product the sales process is going to take over. 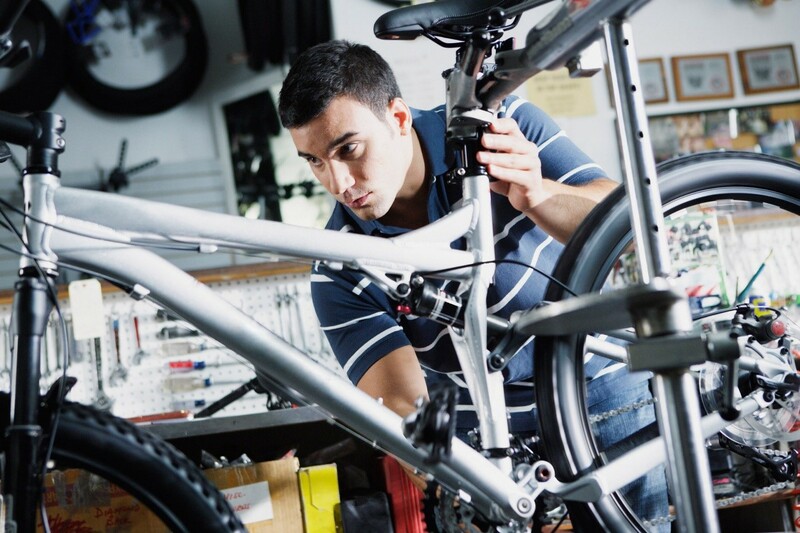 A consumer can start configure the product to decide whether they would like to have a bike with 26-inch tire or choose a different handle bar for the bike or select from a choice of saddle bars. The sales orders can be generated by selecting the product variants through the sales order configurator. This help increase sales force efficiency to allow the sales force to focus on selling. Our new state of the art algorithms designed together with Fraunhofer Institute Kaiserslautern, Germany will help resolve the constraints. You can also have more precise restrictions of values during configuration valuation. All constraints will be considered with higher performance. Additionally, the system is able to raise process intelligence with increased business insights by comprehensive embedded analytics segmented down to characteristic level. Make faster and more informed decisions on the managed product portfolio by leveraging real-time analytics for configuration and classification in all related business objects (e.g. sales order, batch, product master). We are able to address the increased agility as well as significantly increase efficiency around ordering and manufacturing highly individualized products. Increase agility (innovate and evolve quickly): we enable immediate production of individualized products and retire data tables and process steps in between, ensure high service levels to cater to the expectations of the new generation of live businesses. With the new algorithms, we ensure state of art evaluations based on constraint modelling. Increase effectiveness (move away from batch and operate on insights in real time): Provide full demand transparency and provide well-founded decision support and instant reaction and resolution of issues as a new dimension of effectiveness, that allows to fully redesign processes. Configuration allows to link up various functions avoiding manual product set up activities. This makes manufacturing planning a pull through process. Make it yours. Digitize and Individualize for your customers… like never before. Stay tuned when we explore the technical aspects of this use case and illustrate our upcoming use case blogs following over the next few weeks! Your blog series are very informative. Do I miss any other features in advanced VC over LO-VC. Please inform. 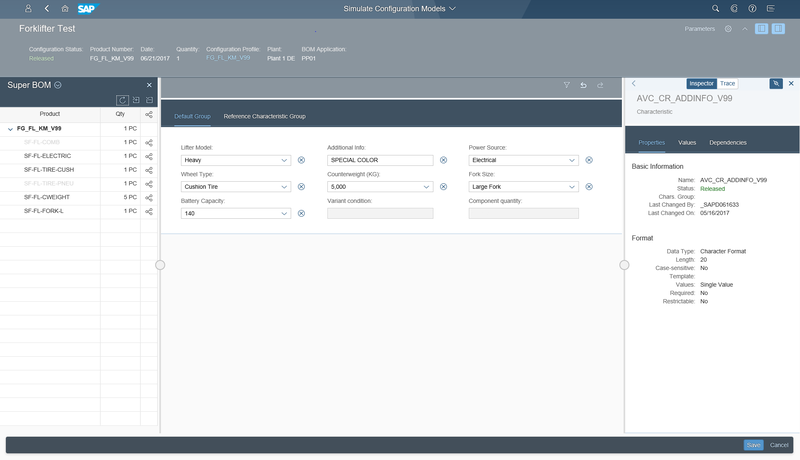 Are there standard SAP Fiori app(s) available for SAP S4HANA 1610 edition which can perform the variant configuration for an Order entry in SAP? If Yes, then kindly share the relevant information / link to access online.